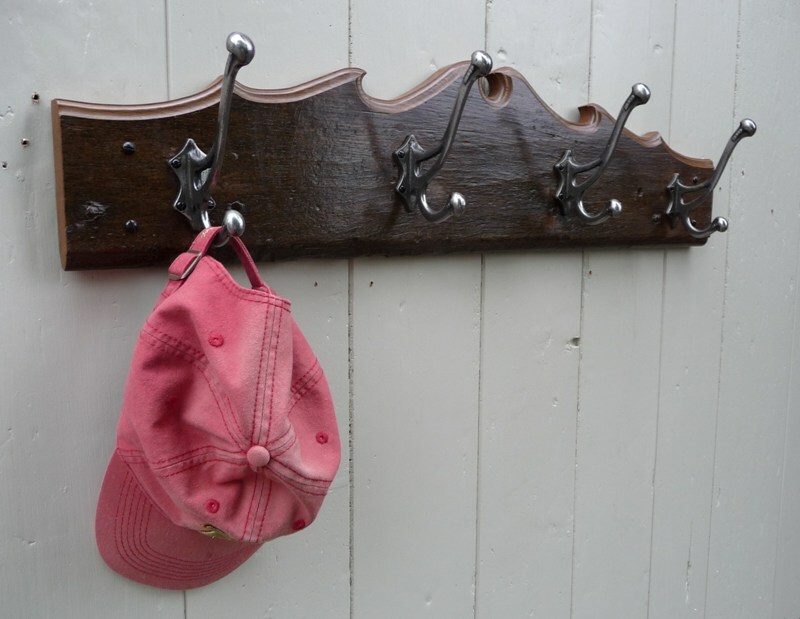 Fresh from the workshop of Hooked on Hooks is this beautifully quirky, utterly unique hat & coat rack made from recycled materials. 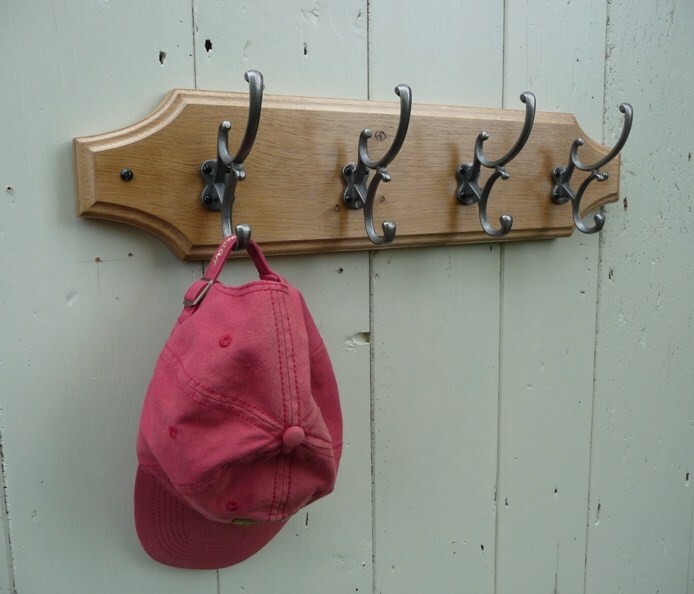 Pictured is the handmade Hooked on Hooks’ hat & coat rack that was kindly donated to the National Trust by R.G. Sharp for Stourhead’s Harry’s Story exhibition, currently running at Stourhead House in Wiltshire. Harry was the son of Henry and Alda Hoare, who tragically died in the First World War. 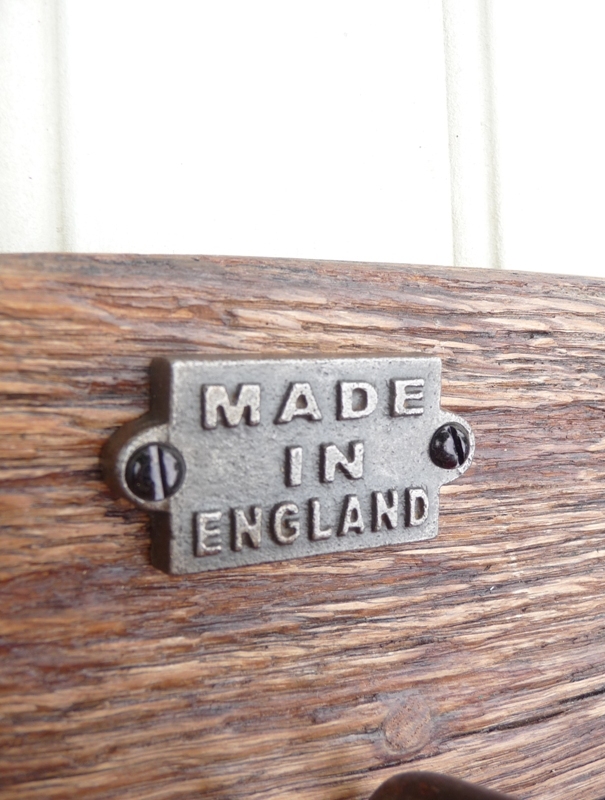 Dating back to the early 1700s, the house was one of the earliest Palladian-style mansions to be built in England. 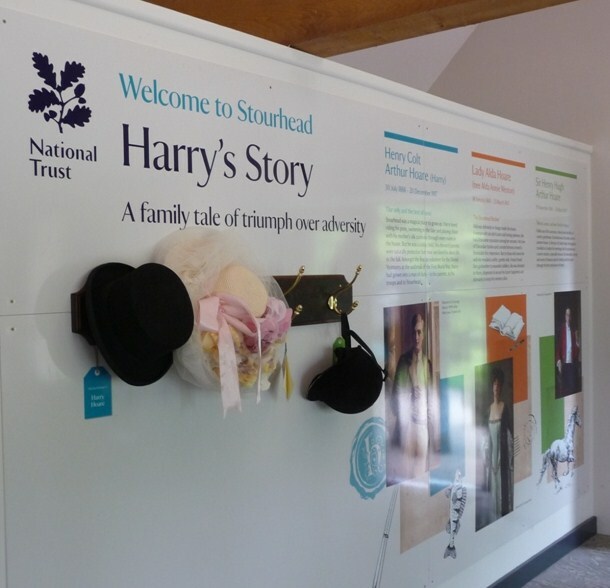 Come to Stourhead and “discover the dramatic story of love, loss and devotion which decided Stourhead’s future”. 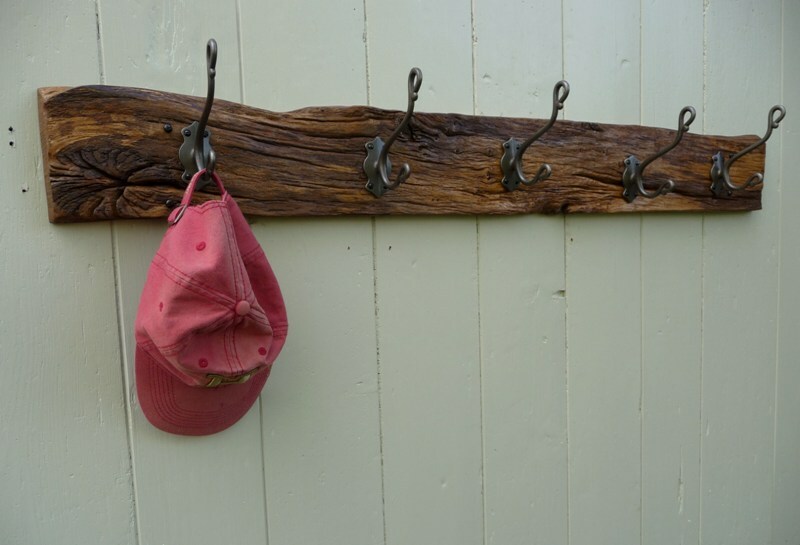 And whilst you are there, in addition to the exhibition and stunning walks in the famous landscape garden, don’t forget to check out the Hooked on Hooks’ handmade hat & coat racks at First View Gallery in the Spread Eagle courtyard. 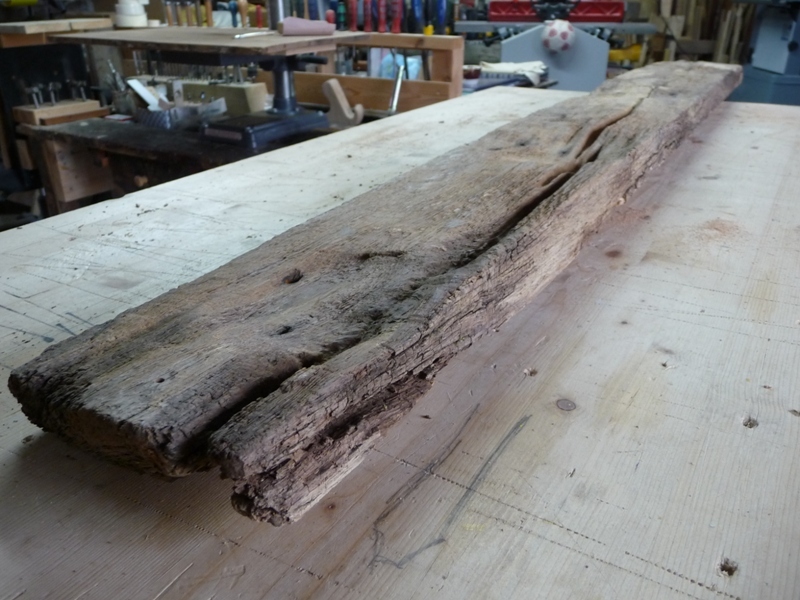 Wood: Length: 108.5cm. Width: 14.2cm. Thickness: 2.5cm-3.5cm. Price: £89.00 (FREE shipping to mainland UK. For other areas, please email). The rack arrived safely today. I must say it is a really nice quality piece of work and was packaged very carefully. 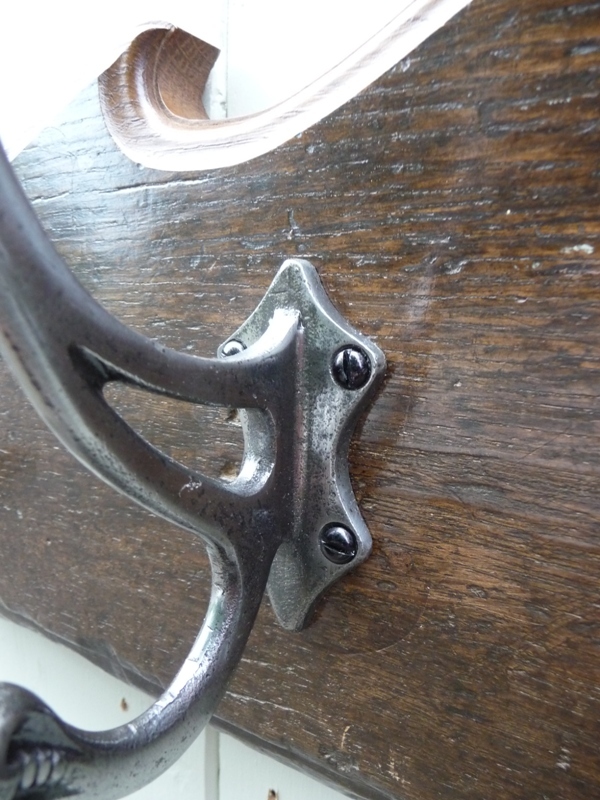 It was refreshing to receive a beautiful piece of work with no problems along the way. Thank you again. 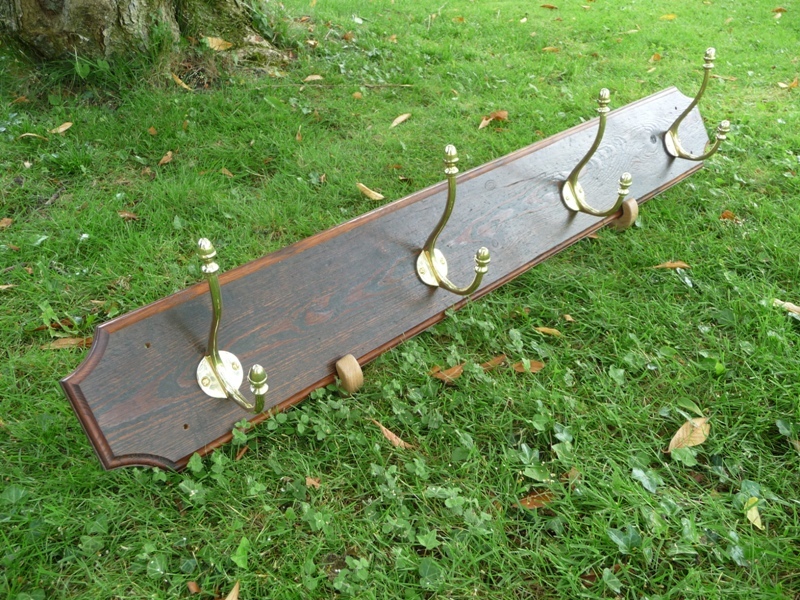 Just to say thank you so much for the two coat racks. I love them both and they look great in the hall. Really appreciate the careful packaging. 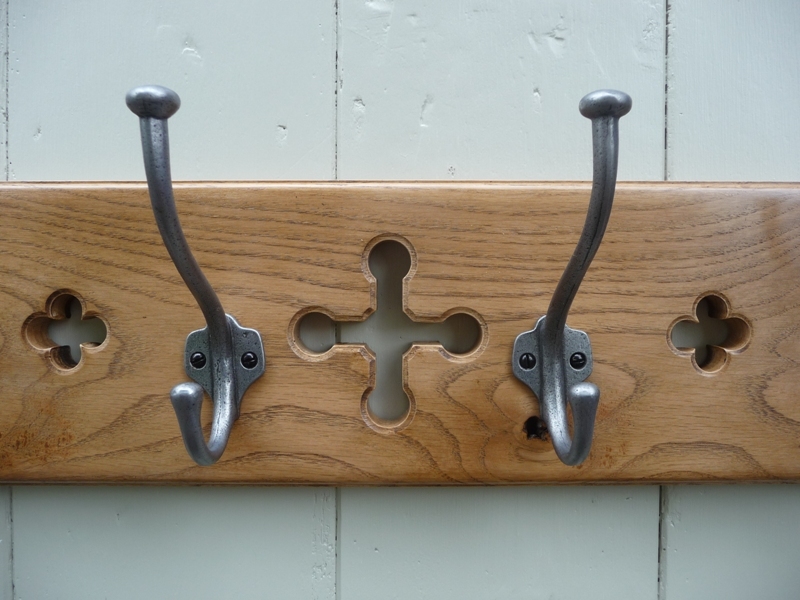 The coat rack has arrived and we are delighted. 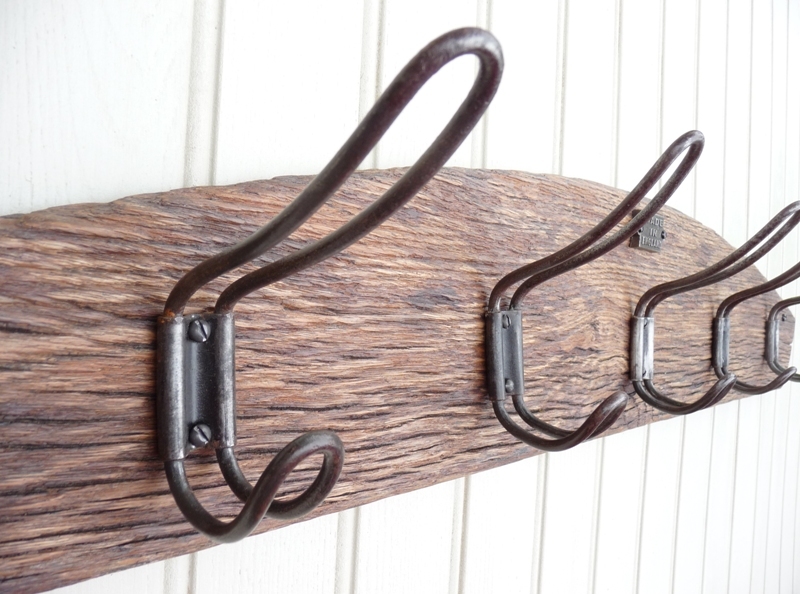 The wood is beautiful – colours and grains of wood, and texture of hooks also make it special. 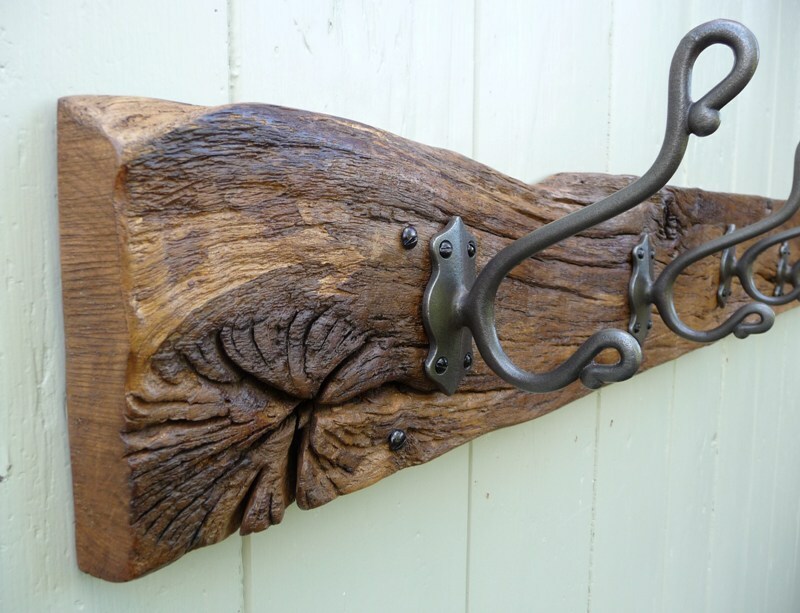 We like that the wood is from Stourhead storm but has been given a new life. It will enhance our hallway and we shall enjoy using it each day. (Also very well packed). All good! Many thanks. 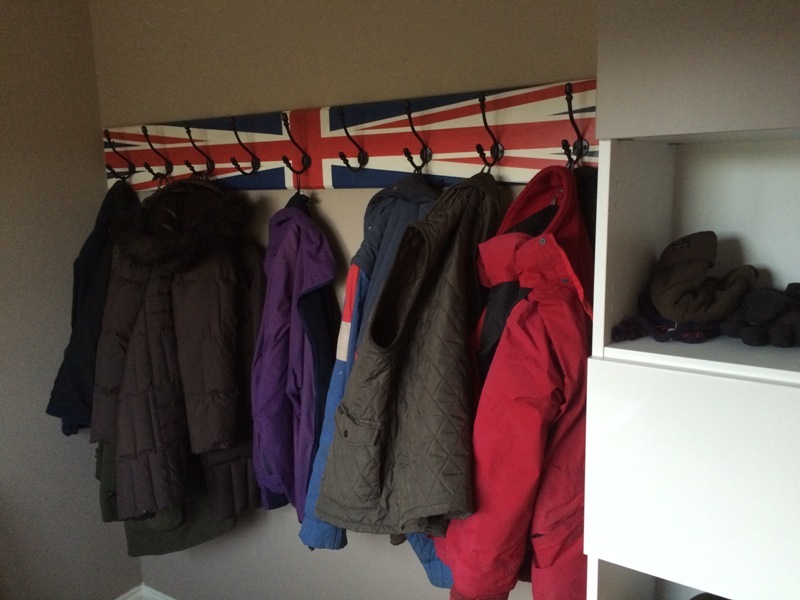 Just to let you know the [Union Jack] coat rack is wonderful! Thank you so much. 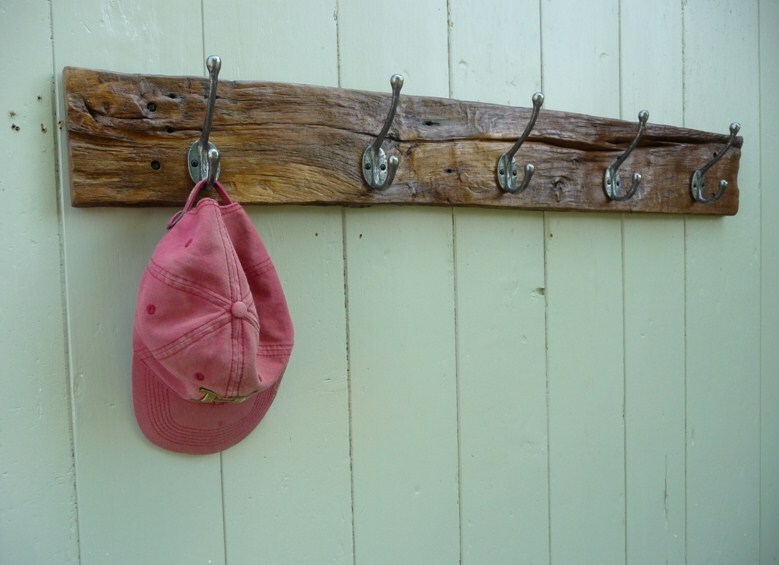 It is just right – I just hope our cloak room will do it justice! You are a very skilled man and it is so nice that there are still people out there who really care about what they produce. It was brilliantly packed as well. 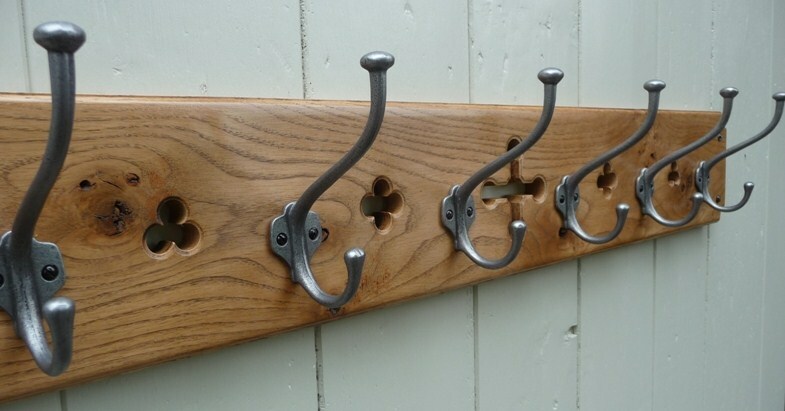 The coat rack has just arrived and we are absolutely delighted with it. Thank you. 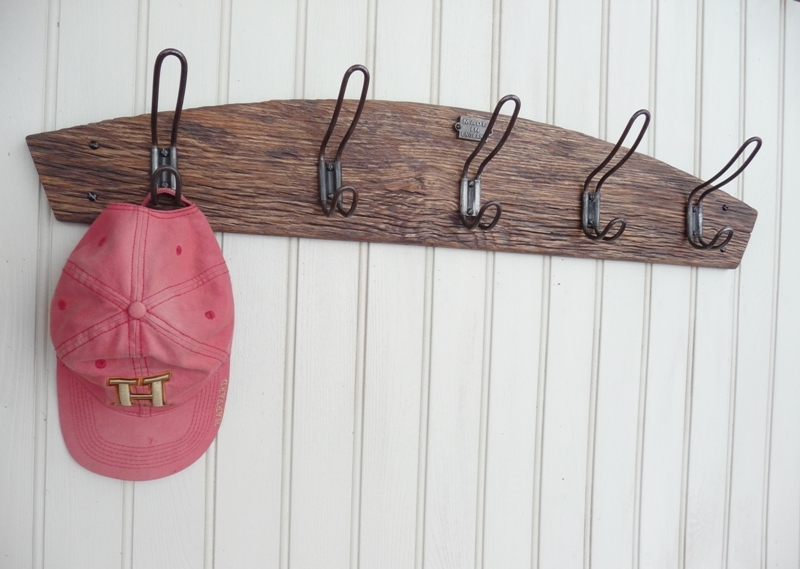 Fresh from the workshop of Hooked on Hooks is this Gothic-look hat & coat rack.